If you've been a reader of IonaBlog for a while you'll know I'm a bit of a nail art fiend, whether I'm sporting bitchin' decals, funky designs or even just a pretty polish, I like to keep my nails looking fancy! So when the lovely folks from Qwerkity contacted me asking if I'd be interesting in trying out their Nail Art Kits* I jumped at the opportunity. With 20 colours in each set, there are honestly endless possibilities in making your nails look fab with these kits! I've found them super easy to use and especially love the shimmery colours from the glitter set. 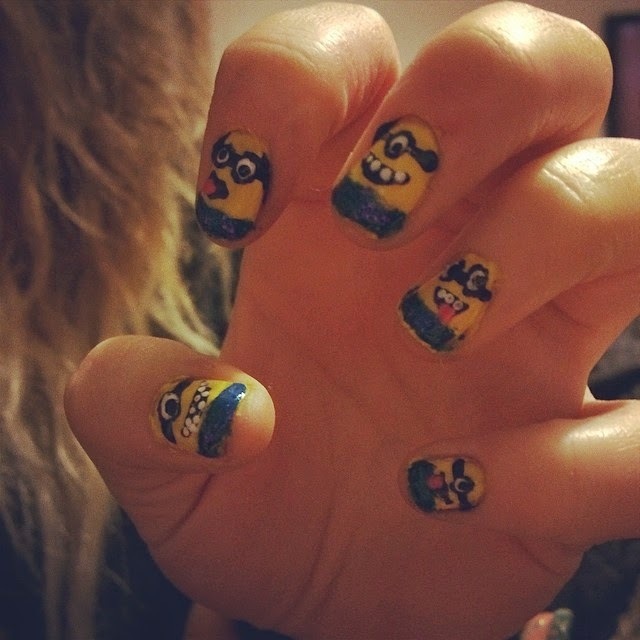 A couple of months back I painted my friend Jodie's nails ready for her birthday party with one of her favourite things; Minions! The look was much easier than you'd expect and I was really pleased with how they turned out, I used polishes from the both the original and glitter kits, but you could easily create this look using just the original kit. 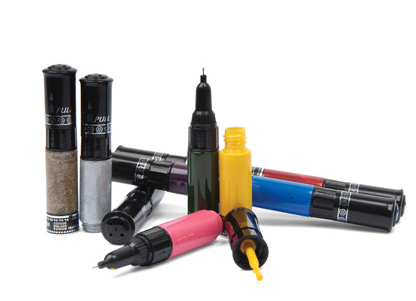 Are you a fan of nail art, what looks would you create using the Nail Art Kits from Qwerkity? Something out-there like the Minions or would you stick to a a more classic look? I'd love to know, the Nail Art Kit's are £19.99 each and you get 20 colours in each set which I think is really great value for the number of polishes you get and the number of looks you can create from one set! Your nails design is very attractive. As per current scenarios almost ladies uses nail kits to design their nails and give an impressive touch.